Model Number: FFG SWM22. Imperial Light Cruiser. Model Number: FFG SWL34. Tactically advancing across the battlefields like inhuman revenants, Imperial Death Troopers are a terrifying sight. Inventory is always changing. for your Star Wars army. 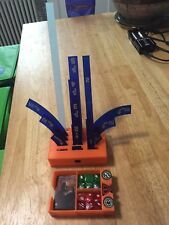 Holds cardboard and promo tokens. 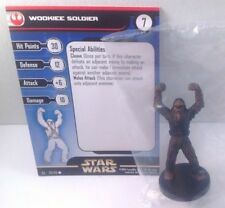 I'm selling a painted figure of Han Solo for the Star Wars Legion miniature game. The miniatures will be individually wrapped to help prevent chipping in shipment All cards and game pieces are new and unopened. Upon purchase I will contact you with the painting time and any custom basing requests. It usually takes me five to seven business days to complete. 2x Proton Torpedoes. 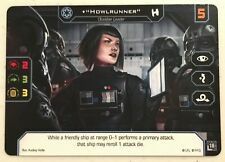 1x Iden Versio. 1x Skull Squadron Pilot Card. 1xBlack Squadron Ace Card. 2x Bounty Hunter/Gray Squadron Bomber Cards. Star Wars: Legion - TX-225 GAVw Occupier Combat Assault Tank Unit Expansion. 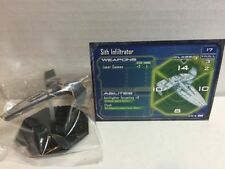 Star Wars Legion Promo Card Adepticon Acrylic Special Wedge/Weiss. Condition is New. Shipped with USPS First Class Package. 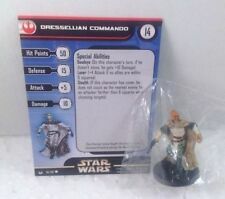 I'm selling a painted figure of Orson Krennic for the Star Wars Legion miniature game. The miniatures will be individually wrapped to help prevent chipping in shipment All cards and game pieces are new and unopened. Upon purchase I will contact you with the painting time and any custom basing requests. It usually takes me five to seven business days to complete. Highly detailed. I TRY TO KEEP ITEM PRICED AS LOW AS I CAN IN ORDER TO STILL MAKE DOING THIS EVEN WORTH IT. 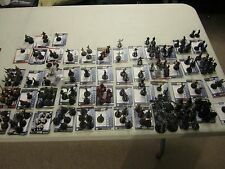 Star Wars Miniatures Lot; IG-88, B'omarr Monk, 4-LOM, Bossk, and more! 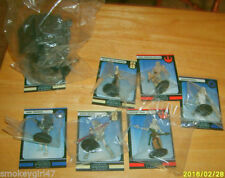 Only 4 rare; IG-88, 4LOM, B'omarr Monk, Bossk, no cards for these. This is our policy. This is a two sided alternate art prize cards from Star Wars Armada Official FFG OP events. You get one card but one side is the Yavaris and the other side is the Suppressor. FREE BONUS! As with most of my individual card sales all cards shipped in hard plastic top loader! I try to ship no later than the next day Monday thru Friday but Saturday purchases made before 10:00 a.m. Eastern Time are mailed THAT DAY! I aim to ship faster with higher quality packaging than my competition! See for yourself and then pass the word and tell your friends to shop here! Free shipping for US purchase only. Please message me for the details or with any questions. I'm selling a painted figure of Jyn Erso for the Star Wars Legion miniature game. The miniature will be individually wrapped to help prevent chipping in shipment All cards and game pieces are new and unopened. Upon purchase I will contact you with the painting time and any custom basing requests. It usually takes me seven to ten business days to complete. Miniature may require being straightened with hot water. 2x Scorch / Blue Squadron. 1x Blackout. Star Wars Legion Q4 op Kit 2018. 1x DLT-19Trooper/Z-6 Trooper. Comes with everything pictured. Ship and cards are in excellent condition. Selling other Armada ships and will combine shipping. Feel free to ask questions and thanks for looking. Limited Edition Adepticon Exclusive. Star Wars X-wing Vulture-Class Droid Fighter. This set of 3 dice bags and you can choose any 3 from the below list. Just send me a message with your choices. If you do not send a message then I will send 3 random bags. Additional bags, one of each or just a single bag can be purchased at a discounted price just message me for details. BE SURE TO VERIFY QUANTITY REMAINING in parenthesis! Choose any 3 in any combination from: a) Boba Fett (dozens left) b) Millennium Falcon only (dozens left) c) Star Destroyer (dozens left) All bags are sold as-is because the quality of printing differs with each version. Free shipping in US only. Anything else message me for details. 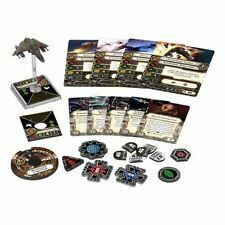 Norra Wexley System Open Series Plastic Card X Wing Miniatures. Condition is New. Shipped with USPS First Class Package. Inventory is always changing so map and minis will be different. For those that want minis that are ready to go, this collection is for you. 1 Tyrants lot 1 cards. 1 Twin Shadows lot 3 cards. 1 Hoth lot 3 cards. 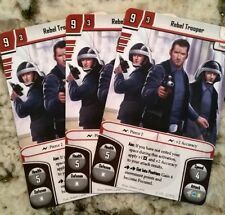 1 Bespin Gambit lot 3 cards. This Star Wars X-Wing alternate asteroid set of (6) is made for the FFG CORE SET for X-Wing Miniatures. These asteroids are made of plastic. Simply place your existing asteroid card piece into the black plastic base then hover your asteroid stem over the base. Model Number: FFG SWL31. The shadow of the Death Star looms across the galaxy, threatening any planet that doesn't fall in line with the Empire. Raised by the extremist Saw Gerrera and on her own from a young age, Jyn Erso embodies both of these qualities. Up for Sale isONE new Star Wars Revenge of the Sith booster. If you buy all 9 of them I will take 10% off the order. Tactically advancing across the battlefields like inhuman revenants, Imperial Death Troopers are a terrifying sight. Star Wars: Legion - Imperial Death Troopers Unit Expansion. Model Number: FFG SWL32. Spies, saboteurs, and assassins, the Rebel Pathfinders are the most elite and the most deadly of the Alliances soldiers. These grizzled combat veterans need unwavering dedication to their cause in order to endure the horrors of their operations and missions. Model Number: FFG SWZ29. As the Clone Wars escalate, then, it is only natural that they throw this weight into developing advanced starfighter technology that can help them put the Republic on the defensive. The stat card will be in a clear plastic sleeve.